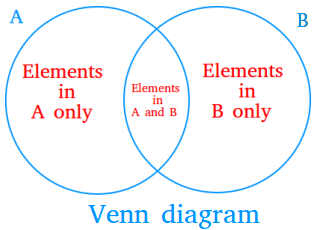 A 2-circle Venn diagram is a visual way to show relationship among sets using two circles. 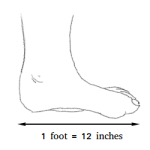 For example, the factors of 6 are 1, 2, 3, and 6. The factors of 8 are 1, 2, 4, and 8. 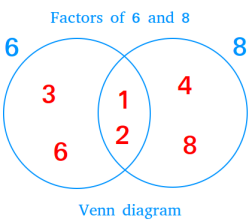 We can create a Venn diagram that will show the sets of factors of 6 and 8. Notice that the factors that are the same for both numbers ( 1 and 2 ) are included in the overlapping region of the 2-circle Venn diagram. 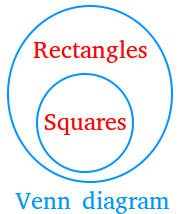 The Venn diagram below shows the relationship between rectangles and squares. We see that all squares are rectangles. However some rectangles are not squares.